And much more, which being just a member to the Group cannot. 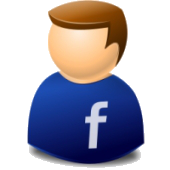 A Moderator in a Facebook Group can be liken to a caretaker of a building, though the individual is not the owner of the building (Facebook Group), the individual have the right and ability to perform almost all the function of the the owner of the building (Admin of Facebook Group) can perform. Join our newsletter for info.